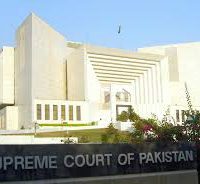 The apex court has issued a strong verdict in the 2017 Faizabad sit-in case. The court had taken up the matter as a suo-motu case and had reserved judgment in November 2018 after hearing the attorney general of Pakistan, the Election Commission of Pakistan and Pemra. The SC has minced no words while noting with concern aspects of action and inaction on the part of institutions of the state, and how major cornerstones of the law were allowed to be violated by the TLP with impunity. The SC has noted that, while every citizen and every political group in the country has the right to express its opinion and assemble to do so, it cannot infringe on the rights of others to security, free movement and expression in this process. The judgment has been equally harsh in taking to task the media for giving publicity to the TLP. It has castigated Pemra for permitting inflammatory material to be broadcast while also failing to protect the rights of licensed broadcasters by not intervening as the transmissions of some broadcasters were blocked and pressure was put on journalists to restrict what they were reporting. The court has directed the relevant ministries and heads of institutions to take note of these activities and act against those responsible for that situation or found wanting when it came to dealing with such issues such as the dharna in question or worsening them with their acts. The question of TLP funding and the failure of the state to provide the court with information about it also came up in the judgment. In this respect, the two-member bench has also noted it is a constitutional duty of the ECP to ensure that political parties account for their funding and that it is not a ‘cosmetic’ matter as the ECP had argued. The verdict is one that directly or indirectly points to a number of issues within the working of our state. The primary message that the verdict gives out is that it is essential that all state institutions and arms of government work within the boundaries laid down by the constitution and that they all perform the duties allocated to them. When there is a failure to do so, the result is institutional, political and social chaos. This is what happened during the 2017 sit-in and its aftermath. Perhaps the views put forward by the honoured judges can make all stakeholders carefully consider how to avoid a similar situation arising in the future.